Well, "Hello" there! Adele fans were treated to a very welcome surprise with the release of the Grammy winner's new song and music video "Hello" on Friday. 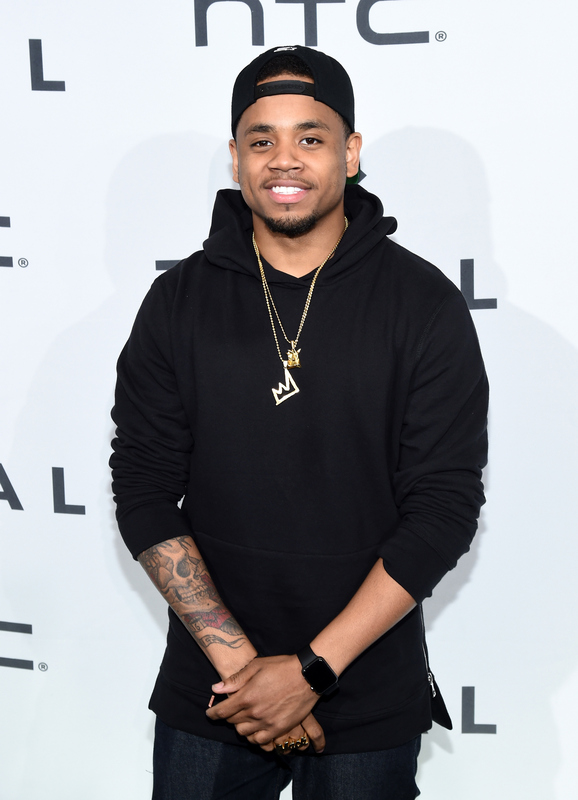 And they were treated to an additional surprise of seeing the adorable Tristan Wilds star as Adele's boyfriend in the video. So, upon watching the beautiful mini-movie, some fans and followers might be wondering if Tristan Wilds is dating anyone at the moment. Well, unfortunately, it seems like the actor-singer likes to keep his romantic life pretty mysterious. Though the former 90210 and The Wire star has not publicly discussed dating anyone in particular, the 26-year-old has also not confirmed that he is single. Also, his Instagram account does not offer any obvious clues. Back in 2008, he was rumored to be flirting with one of his 90210 costars, though nothing seemed to materialize from that. And in 2009, he was rumored to be dating Rihanna, though she denied the rumors. But no rumors or confirmations have seemed to make the news rounds since then. Considering Wilds' relatively private persona, it does not seem like he will be making any commentary on his status anytime soon. Hmm. There is something to be said about keeping an element of mystique. But let's be realistic. Fans probably want at least a hint! Well, they will be happy to know that Wilds has at least dropped a few vague clues in interviews about what he is like in the romantic realm. And based on what he has said, it seems like he would make a fantastic boyfriend. When he was working on 90210, he hinted at having better luck in love than his character on the show, who once told a woman he loved her to hear "Thank you" in return (Ouch!). He told the CW Source that a moment like that has never happened to him. He added, "Thank goodness, 'cause if it would have, I probably would have cried." The interviewer said, "There you go, sensitive guy!" while giving him a pat on the back. Wilds agreed, "Yeah." There is nothing sweeter than a guy being able to admit to some sensitivity, right? But, wait, it gets better. If you thought that was cute, he was even willing to admit to having some nerves before a smooch — even a stage smooch. He dished to People about what it was like to kiss Dakota Fanning for the film The Secret Life of Bees. He said, "Inside I was very nervous, like, 'Do I need a breath mint?' My friends all went to see it, and they were like, 'Aw, man, I almost cried.'" How sweet! Even though Wilds has kept pretty mum about his status so far, maybe all the attention he will inevitably get from the Adele video will inspire him to speak up more about what he would be like (or what he is like) in a real relationship. Or perhaps it will at least inspire him to start sharing clues on social media, as everyone seems to be doing these days.